The conditions of the Day Care Center for children with disabilities in Râşcani district have been improved in recent years, thanks to donor funds. Some of the resources needed for the institution's activity are traditionally gathered in a charity ball, which is organized each year at the Center. Among the most important donors are Vlad Plahotnicuc's Edelweiss Foundation. In recent years, it has provided important financial resources and essential items for children at the Phoenix Center. "The foundation of Vlad Plahotniuc Edelweiss was very receptive. They came with a donation of 20,000 thousand euros, which is the biggest grant I received during my work period." All donations were tightened with small sums and this it was a burden on the shoulders, six months for Center maintenance", said Victoria Dunford, founder of the Phoenix Center. 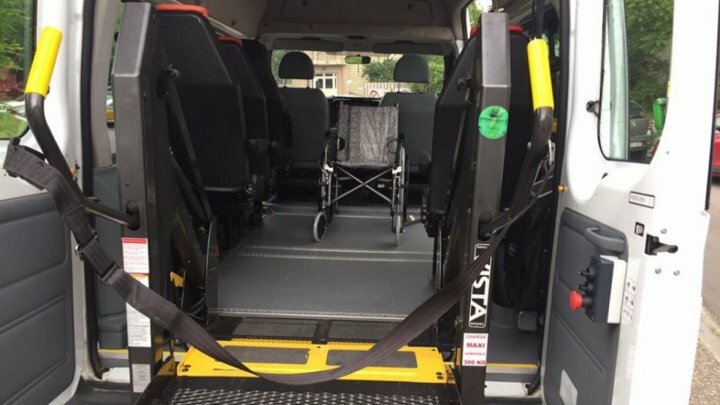 The foundation also helped to buy a special minibus for carrying children. Without it, the employees of the institution were doing hard. "In the morning, in the evening, you are taken, brought in. Comfort is, especially for children who need special." If not all have the opportunity to go somewhere, move, they can now go on excursions, said Olga Bîcu, the Phoenix Center educator. "Very comfortable, we get on the trolley and we go down with the trolley." "Do you like the minibus with which you go home? - We have music, it's funny!" The traditional charity ball has gathered dozens of donors from both the country and abroad. "We have donated some of our products to these disabled children, so it was the fate of their lives that they are in trolleys, but we are, I pray, obliged and obliged to help them with what we can," said Nicolae Ropot , donor. "We help them pay for maintenance and we have assumed the costs of building a new block for this center. We have more plans for September, they will tell us what they need and we'll get them", said Steve Rowlands, donor. Phoenix Day Center services enjoy over 25 children daily. Here, more than 200 minors with special needs benefit from annual recovery treatments. The institution was created in 2015 by Victoria Dunford, a Moldovan, based in the UK.